For our next challenge we will be exploring Public Holiday data from 2017/Week 44 of the Makeover Monday Challenge. Consider what does and does not work well with the original visual, and how you might improve the visual. The goal of the challenge is to renovate the visual. This could mean improving the visual, or revealing a different story. Participants may use Tableau or any other data visualization tool (Excel, SAS, R..) to create their visual. Below is the link to the data set and original visualization. To ensure your visual is shared at the next TUG, post your visual to this discussion by 5PM EST on December 17th. How many pina coladas do you get? I first created a visual inspired by one I saw online. Below is my first visual. I was interested in how many Federal/National holidays are celebrated each month within each region. Hovering over a mark will display a holiday name and countries that celebrate the holiday within a selected region. After creating my first visual I decided to create a second visual in an attempt to easily identify the number of holidays in each region. Below is my second visual. Although the number of holidays is easier to identify, I still thought the representation of holidays per month/region could be clearer. 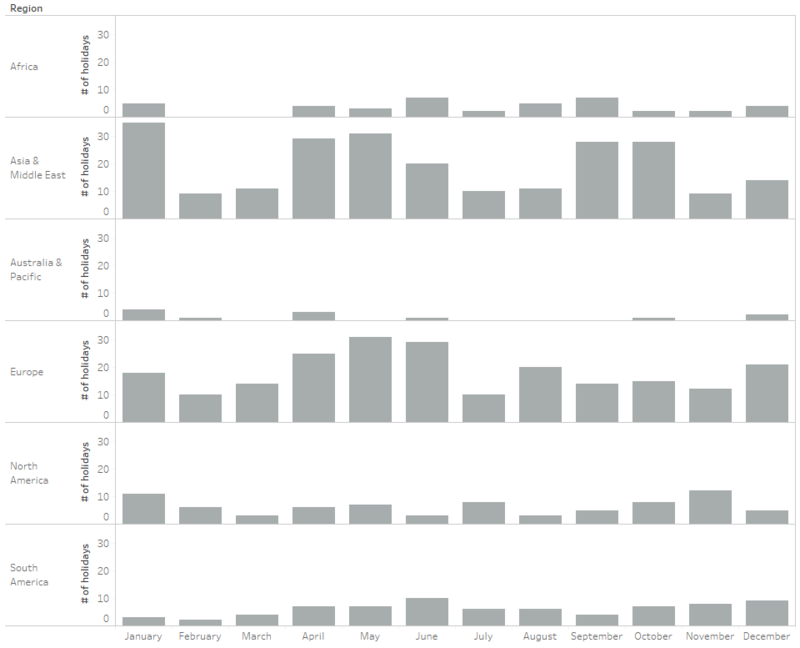 In my final visual below you can easily compare holidays by month or region. 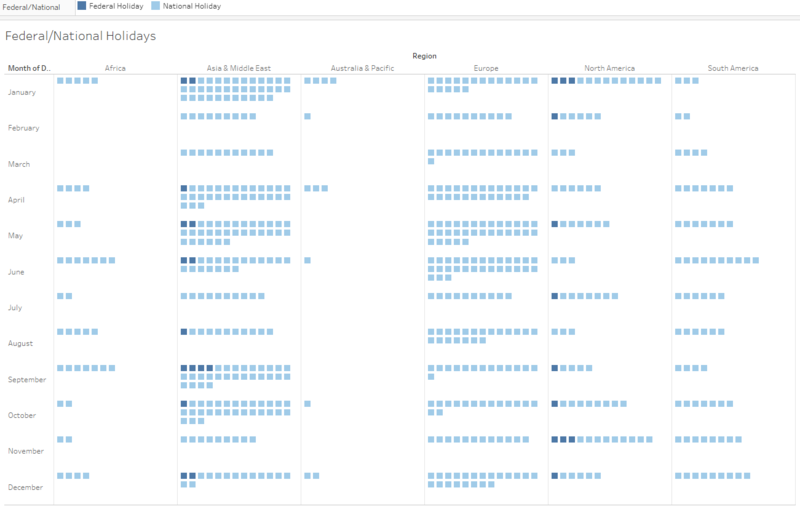 Attached is my Tableau workbook. I put together a visual on the number of unique holidays across the world. 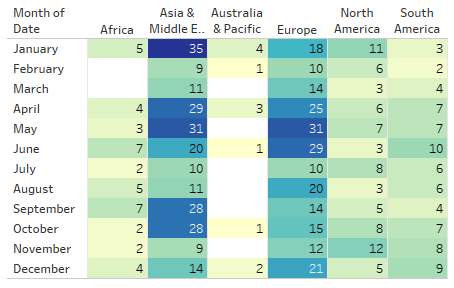 Helpful techniques used were calculated field to count the number of distinct holidays for each country and copy as crosstab, to get a subsection of the data. 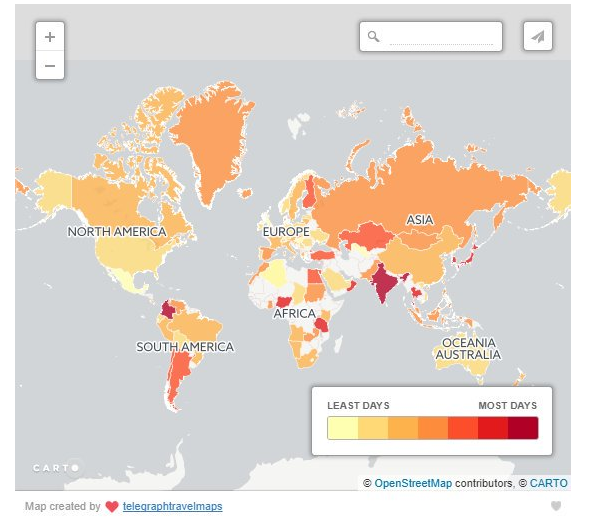 In the interactive Tableau dashboard you can filter to view the unique holidays for each country. I used Excel to identify holidays observed by country by month and with slicer to drill down what type of holiday and month observed by country. 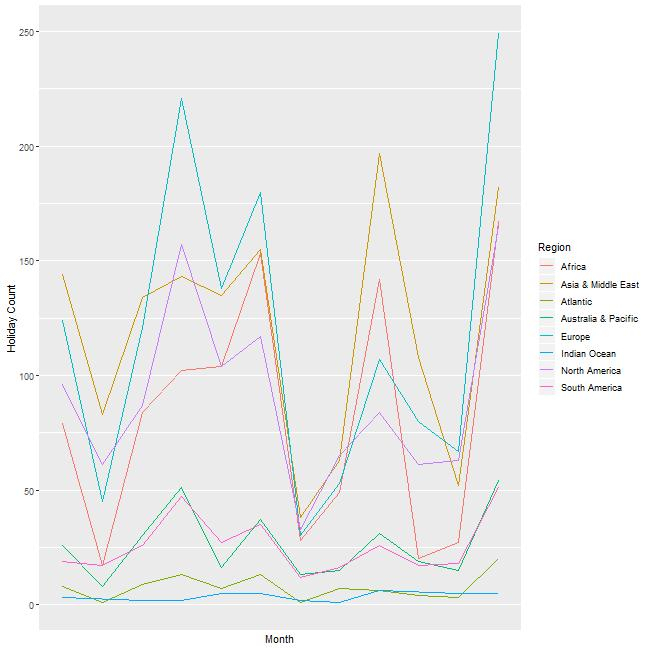 This is a very simple line chart I did in R; it is holiday counts by month and region. I have not completely figured out ggplot so the x axis is not labelled (although I did hide the nonsense that wanted to be there). Its Jan-Dec left to right. Attached is the PowerPoint from today's meeting. Congratulations to @srfogel our challenge winner! Thank you to all that participated. View the PowerPoint for additional makeovers found on data.world. Please provide any questions/comments below.